Journals and technical papers concerning the field of motion imaging. Association services, namely, promoting the interests of those in the field of motion imaging; providing information in the field of motion imaging; publishing industry standards, recommended practices, and guidelines in the field of motion imaging; and arranging and conducting conferences, meetings, seminars, and exhibitions in the field of motion imaging. 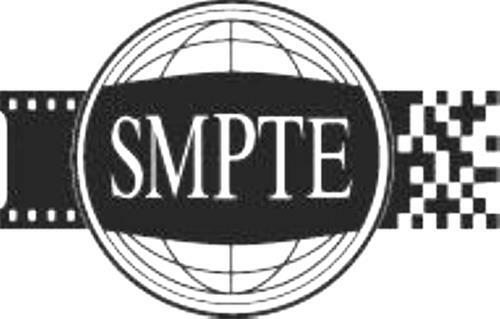 On Tuesday, December 2, 2008, a canadian trademark registration was filed for the above pictured logo by Society of Motion Picture and 3 Barker Ave., 5th Floor, White Plains, New York 10601, UNITED STATES . The Canadian IP office has given the trademark application number of 1420377. The current status of this trademark filing is Registration published. The correspondent listed for is GOWLING WLG (CANADA) LLP of SUITE 1600, 1 FIRST CANADIAN PLACE, 100 KING STREET WEST, ONTARIO, CANADA M5X1G5 The trademark is filed in the description of Journals and technical papers concerning the field of motion imaging. , Association services, namely, promoting the interests of those in the field of motion imaging; providing information in the field of motion imaging; publishing industry standards, recommended practices, and guidelines in the field of motion imaging; and arranging and conducting conferences, meetings, seminars, and exhibitions in the field of motion imaging. .
(5) Photographic or cinematographic apparatus, projection apparatus and lanterns -- Note: Including video cameras, traffic radars and photographic lenses. (1) - Journals and technical papers concerning the field of motion imaging. (2) - Association services, namely, promoting the interests of those in the field of motion imaging; providing information in the field of motion imaging; publishing industry standards, recommended practices, and guidelines in the field of motion imaging; and arranging and conducting conferences, meetings, seminars, and exhibitions in the field of motion imaging.